Thomas Carell (Ph. D) was raised in Bad-Salzuflen (Germany). He studied chemistry at the Universities of Münster and Heidelberg. In 1993 he obtained his doctorate with Prof. H. A. Staab at the Max Planck Institute of Medical Research in Heidelberg. After postdoctoral training with Prof. J. Rebek at MIT (Cambridge, USA) in 1993-1995, Thomas Carell moved to the ETH Zürich (Switzerland) as an assistant professor to start independent research. He obtained his habilitation (tenure) in 2000. He subsequently accepted a full professor position for Organic Chemistry at the Philipps-Universität in Marburg (Germany). In 2004 Thomas Carell moved to the Ludwig-Maximilians-Universität (LMU) in Munich (Germany), where he is heading a research group centered around chemical biology. The current focus is to analyze the chemistry of epigenetics and prebiotic chemistry. Thomas Carell is a founder of the company Baseclick GmbH. He is a member of the National German Academy, Leopoldina and of the Berlin-Brandenburg Academy of Arts and Sciences. Thomas Carell received the Cross of Merit from the Federal Republic of Germany (knighted). Thomas Carell obtained the Leibniz award and an ERC advanced grant. 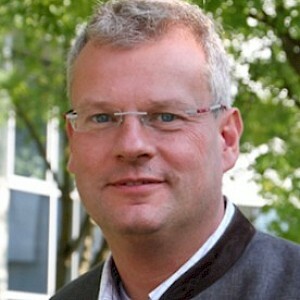 He is the speaker of the Excellence Cluster (EXC114) on protein chemistry and of the collaborative research center (SFB13ß9) on Chemical Epigenetics. Dr. Cech obtained his Ph.D. in chemistry from the University of California, Berkeley, and then engaged in postdoctoral research in the department of biology at the Massachusetts Institute of Technology in Cambridge, Massachusetts. 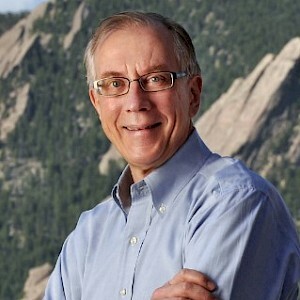 In 1978 he joined the faculty of the University of Colorado Boulder, where he became Distinguished Professor of Chemistry and Biochemistry in 1990 and is currently Director of the BioFrontiers Institute. In 1982 Dr. Cech and his research group announced that an RNA molecule from Tetrahymena, a single-celled pond organism, cut and rejoined chemical bonds in the complete absence of proteins. This discovery of self-splicing RNA provided the first exception to the long-held belief that biological reactions are always catalyzed by proteins. In addition, it has been heralded as providing a new, plausible scenario for the origin of life; because RNA can be both an information-carrying molecule and a catalyst, perhaps the first self-reproducing system consisted of RNA alone. 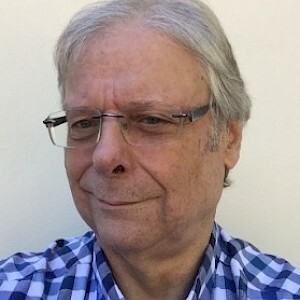 Dr. Cech's work has been recognized by many national and international awards and prizes, including the Heineken Prize of the Royal Netherlands Academy of Sciences (1988), the Albert Lasker Basic Medical Research Award (1988), the Nobel Prize i+n Chemistry (1989), and the National Medal of Science (1995). In 1987 Dr. Cech was elected to the U.S. National Academy of Sciences and also awarded a lifetime professorship by the American Cancer Society. He was the scientific founder of Ribozyme Pharmaceuticals, Inc. (1992-99) and currently serves on the Board of Directors of Merck & Co., Inc., New Jersey, USA. Professor Dawson is a clinician-scientist in the Sir Peter MacCallum Department of Oncology and Centre of Cancer Research at the University of Melbourne. He is the program head of the Translational Haematology Program, Group leader of the Cancer Epigenetics Laboratory and Consultant Haematologist in the Department of Haematology. His research interest is studying epigenetic regulation in normal and malignant haematopoiesis. He is a fellow of the Royal Australasian College of Physicians and Royal College of Pathologists of Australasia. After completing his clinical training in Melbourne, Australia he was awarded the prestigious General Sir John Monash Fellowship and Cambridge Commonwealth Trust Fellowship, which he used to complete his PhD at the University of Cambridge. Following his PhD, he was awarded the inaugural Wellcome Trust Beit Prize Fellowship to pursue his research into epigenetic regulation of leukaemia stem cells. This research identified a new therapeutic strategy for acute myeloid leukaemia by targeting the BET bromodomain proteins that function as epigenetic readers. This work helped set the platform for clinical trials with this first in class epigenetic therapy. His research has been published in world leading journals including Nature, Cell, Science and New England Journal of Medicine. He is currently the Senior Research Fellow for the Leukaemia Foundation of Australia and a Howard Hughes Medical Institute International Research Scholar. Paul Leeson is a medicinal chemist with more than 35 years’ experience of drug discovery and development in senior roles in several major pharmaceutical companies. While at Smith Kline and French, Merck Sharp and Dohme, Wyeth (USA), AstraZeneca, and GlaxoSmithKline, Paul contributed to numerous projects in the cardiovascular, neuroscience, respiratory and inflammation therapy areas. His drug discovery contributions are documented in more than 160 publications and patents. Paul has given over 60 invited presentations at national and international conferences. At AstraZeneca (1997-2011), Paul was head of medicinal chemistry at the Charnwood site, where his Department invented more than 40 candidate drugs, with one marketed. 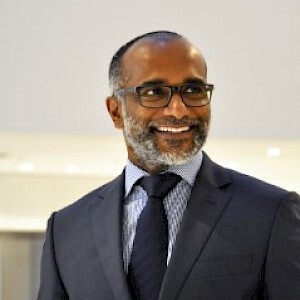 From 2002-2009 he led AstraZeneca’s Global Chemistry Forum, which managed global activities in discovery and early process chemistry, and implemented improved practices in hit-to-lead, lead optimisation, prediction, synthesis and outsourced chemistry.